The color purple is a rare color to occur in nature, a combination of calming blue and fiery red. This may be one of the reasons that purple flowers are so adored by gardeners everywhere. The color is known for its ability to have a calming effect that uplifts the spirits and nourishing sense of spirituality. The color itself has roots in royal symbolism. 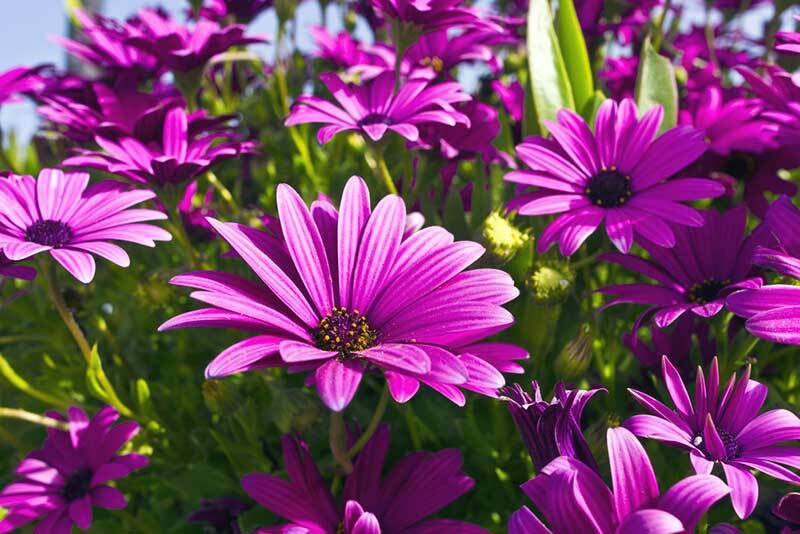 This may be why purple is one of the most popular colors for flowers. 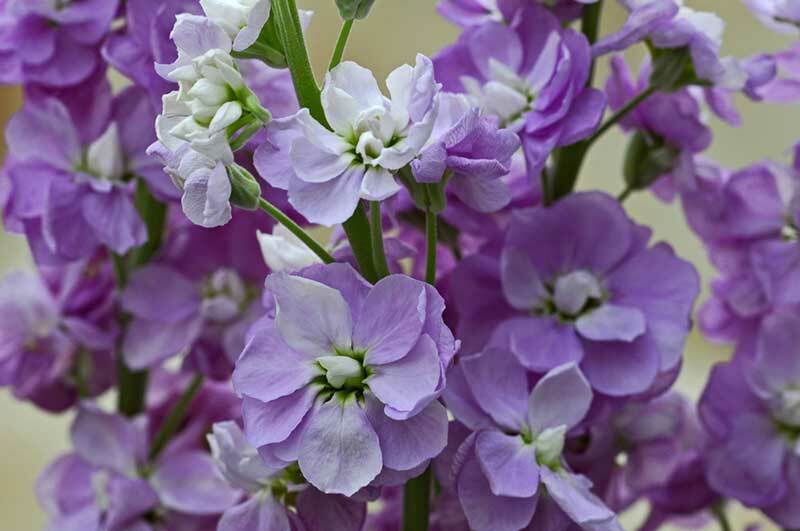 Ranging from pale lilac shades to deep violet, the blooms below will infuse a sense of serenity and elegance to your garden. These lovely flowers typically have a halo of 5 petals that occur in an open cluster. 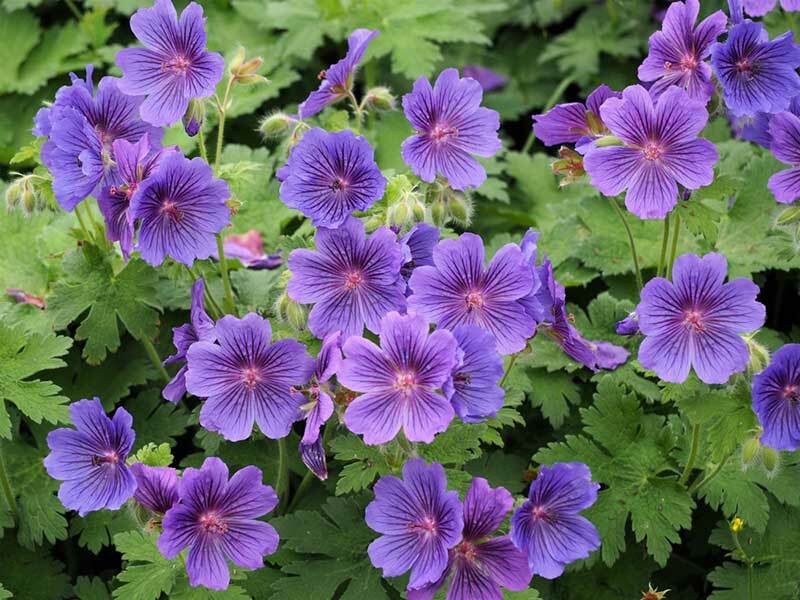 Geraniums are hearty plans and grow well in full sun to partial shade while appreciating well-drained soil. They can also bloom indoors year-round as long as they receive enough sunlight. 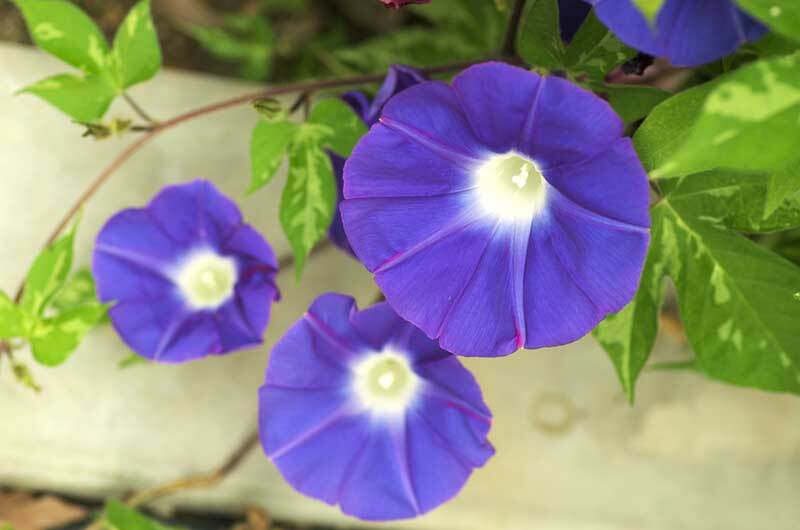 These flowering vines have saucer-shaped blooms that, as the name implies, open up in a burst at morning time. They prefer to receive full sunlight throughout the day and most have blooms spanning around 4 inches. They grow well in a moderate climate. 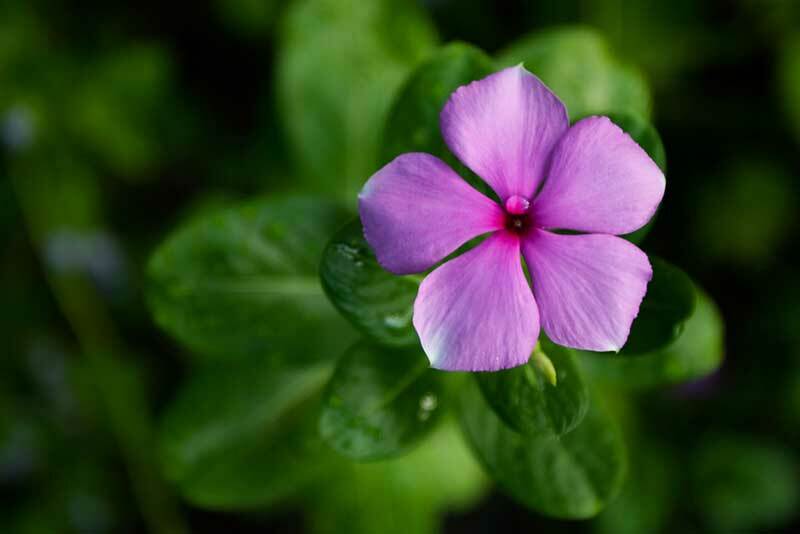 Vinca flowers have a bloom in a soft purple color with what is known as a “white eye,” that is a white or yellow center amidst 5 petals. They prefer full sun and do well even on the hottest days of summer. 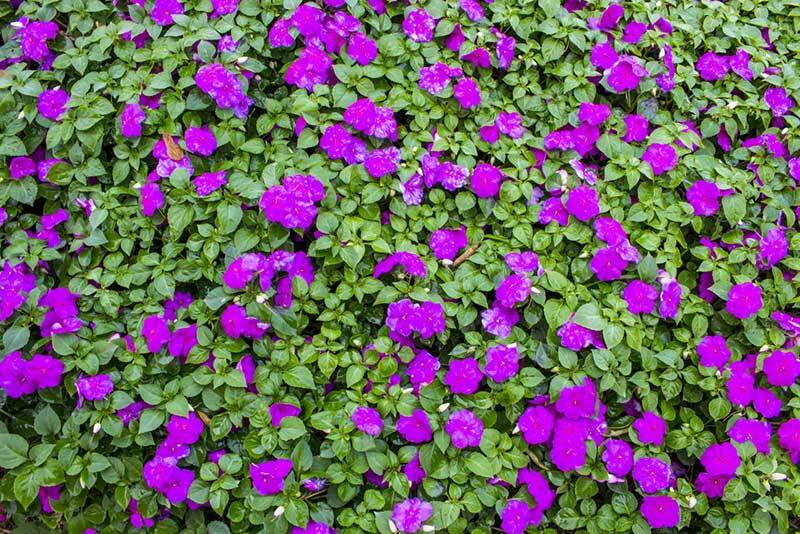 Vinca flowers can stand upright or can be trailing flowers, often preferred to spill out of a hanging basket or potted container. They require little maintenance. Impatiens are a darling shade garden plant that is treasured for its blooming power. They are known for their low maintenance and for being great plants for pots and containers. They grow best in areas with warmer temperatures and prefer partial sun or shade. 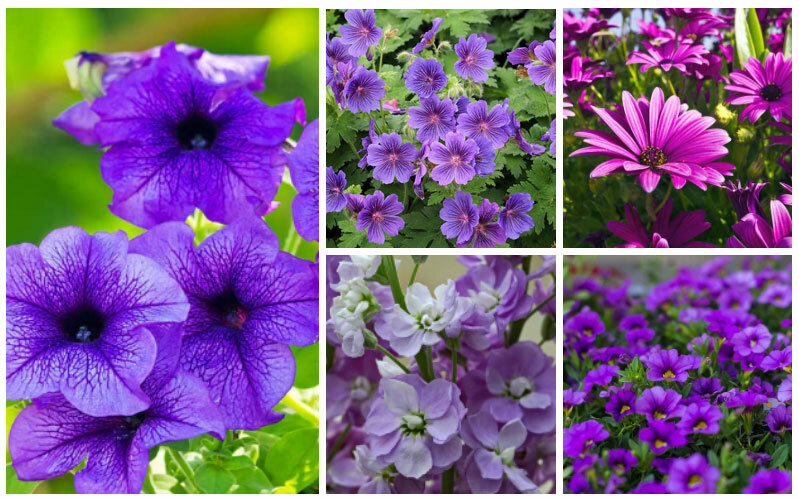 These flowers vary in shades of purple and provide warm, spicy perfume. They grow best in full sunlight or partial shade. Matthiola is named for King Ferdinand I of Austria’s personal physician and his known power to heal any of the King’s ailments. They bloom in spring and grow from 1-3 feet. This delicate vine is a charming climber that is treasured for its tiny, trumpet-shaped blooms that last all summer. The vine is small in stature, making it perfect for growing on fences or patios. Snapdragon prefers partial to full sunlight and is a low-maintenance grower. This special daisy has the flashy outside petals of a traditional daisy with a complex center “eye.” They require extremely well-drained soils due to their history of growing in very sandy and rocky regions, yet thrive well in a very mild climate. These lively little flowers can thrive in heat and drought, making them the perfect flower for arid regions. They are a cheery accent plant in any garden and have a very lively perfume. 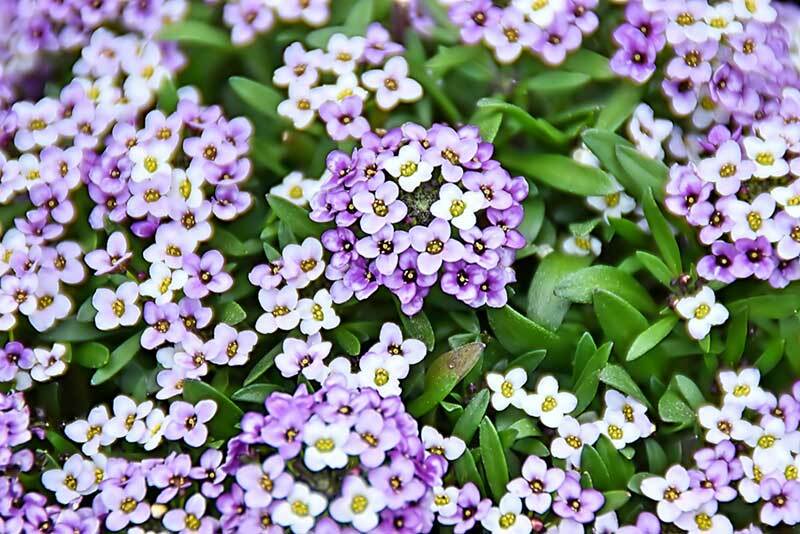 Sweet Alyssum flowers require very well-drained soil. 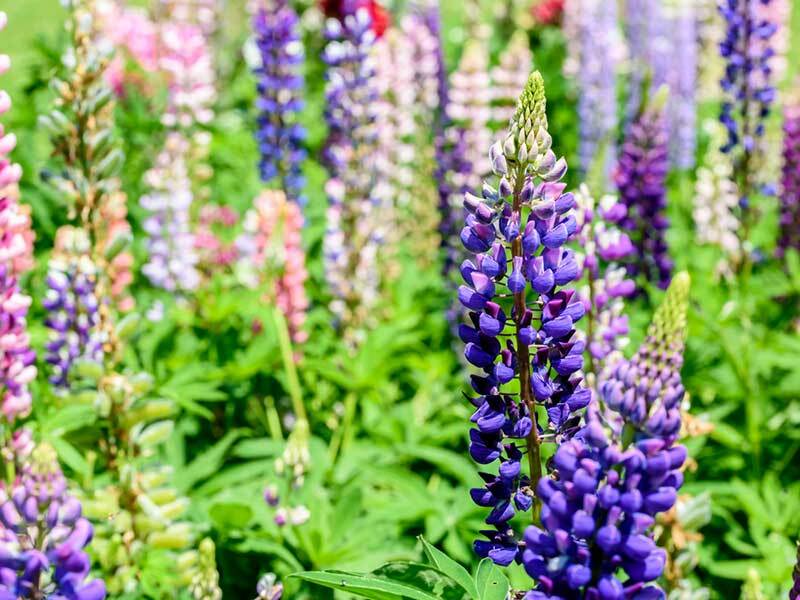 This darling plant is known as the quintessential cottage-style flower. It is adored for its bluish-green foliage and its large abundance of bright, starry little flowers. 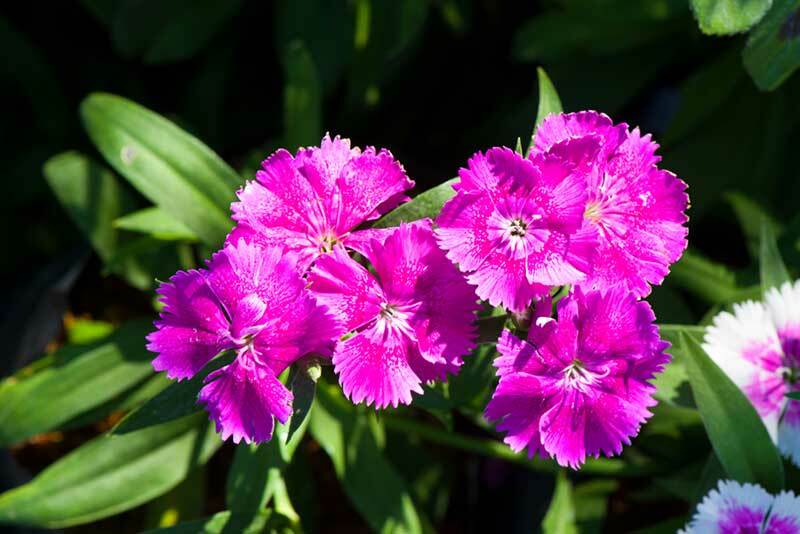 Dianthus plants grow well in most regions and typically are seen as a delicate, creeping groundcover. 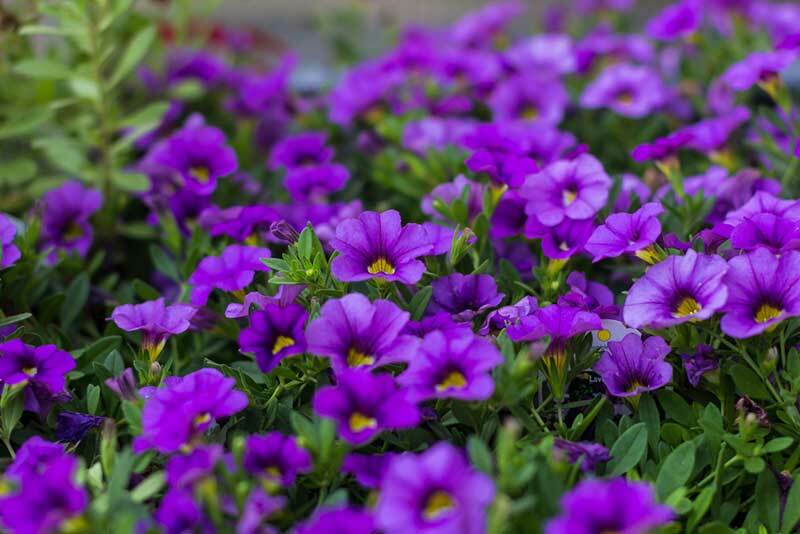 Petunias are one of the most popular plants and are treasured for their showy blooms that have a halo effect of an inner-circle of color nearing the eye. They are known for being a great plant for beginnings, requiring little maintenance while still producing vigorous blooms. They do well in rich soil that contains a good deal of organic matter. They also thrive in full sunlight. 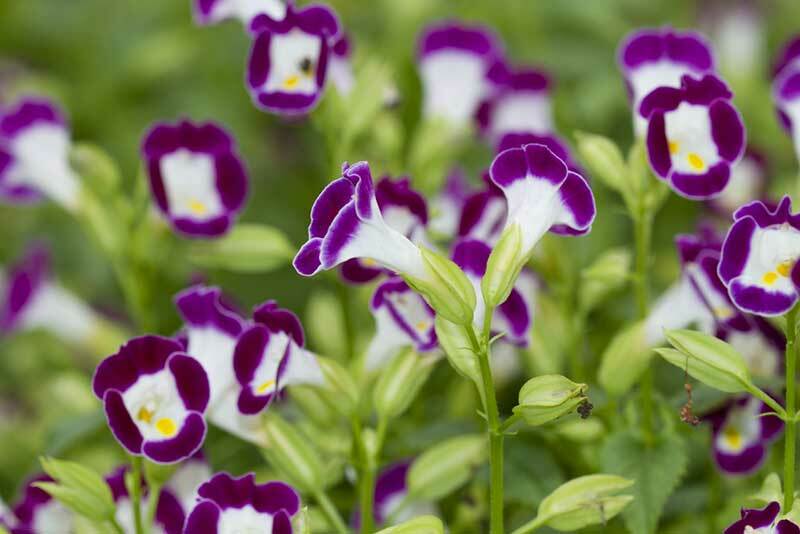 These color plants have tiny trumpet-like bells that look like mini-petunias. 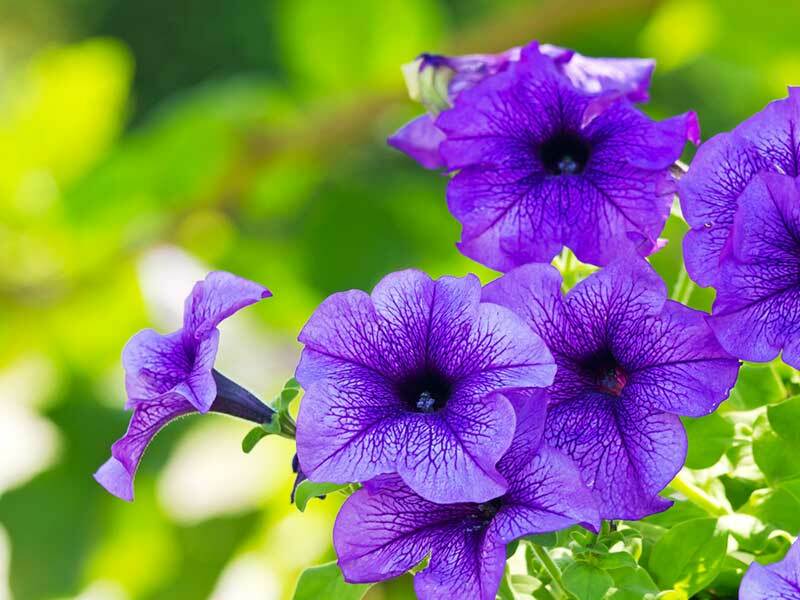 They are vigorous growers and are frequently used along walkways or in containers. Their petals typically contain speckles colors and have segmented petals with a light-colored inner eye. These are called monkey flowers because they have a small, sweet “face.” Monkey Flowers come in rich shades of purple and have a deeper shade on the inner petal that leads into a brightly-colored “eye.” They grow well in partial sunlight and their color is enhanced due to their foliage’s rich shade of green. 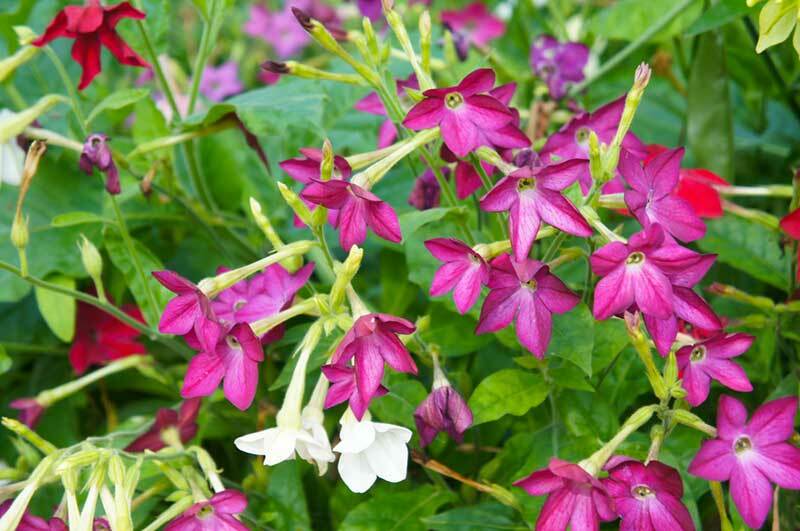 These flowers are true show-stopped with clusters of trumpet-shaped blooms that grow out of bushels of green foliage. They are gorgeous, ground-hugging plants that may appear exceptionally delicate. However, Wishbone Flowers are actually very tough and have the ability to thrive in the summer heat. 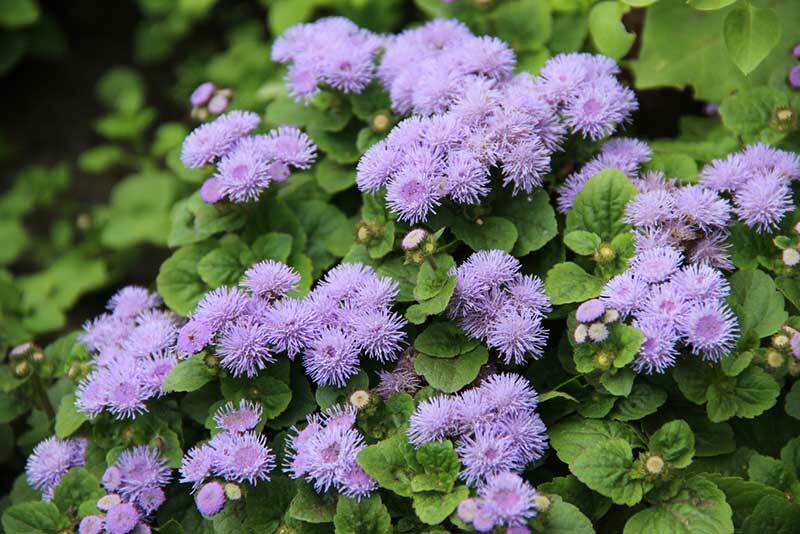 These little charmers add graceful stalks of small blooms that dangle from green foliage. They prefer to grow in partial sunlight, but they can also grow in full sunlight. They grow from 1-3 feet and can grow in any moderate climate. They also often grow naturally and sporadically in lawns or other open spaces. These flowers are also known as spider flowers due to the bristle-like blooms that jug out from the central point of each cluster. 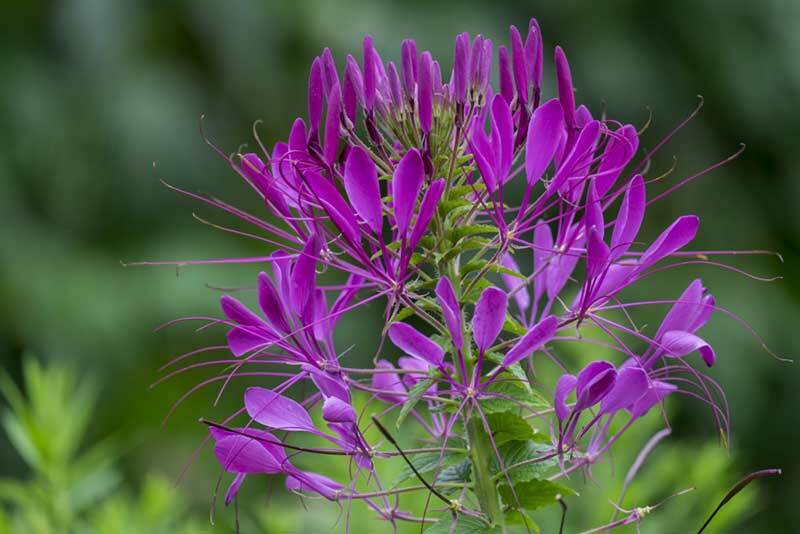 Every cleome cluster contains several delicate petals that vary in shade. They grow a stunning 3-5 feet tall and make an incredible focal flower against a fence or in the back of a garden. They have a tropical feel and are excellent attractors of butterflies or hummingbirds. They grow well in any climate. 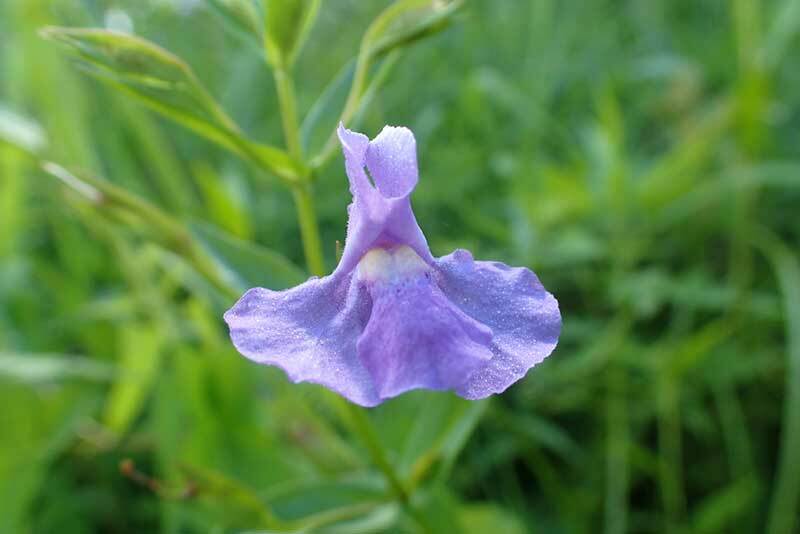 These delicate flowers are also known as Flowering Tobacco. They are prized as traditional cottage plants due to their delicate, yet powerful scent. They can grow anywhere from 18 inches to 5 feet. They have been gracing traditional gardens since the 16th century and were treasured for their curative powers. They love dun and are an ideal choice for indoor growing in any climate. These old-fashioned treasured flowers are most typically seen potted or in small ground clusters. 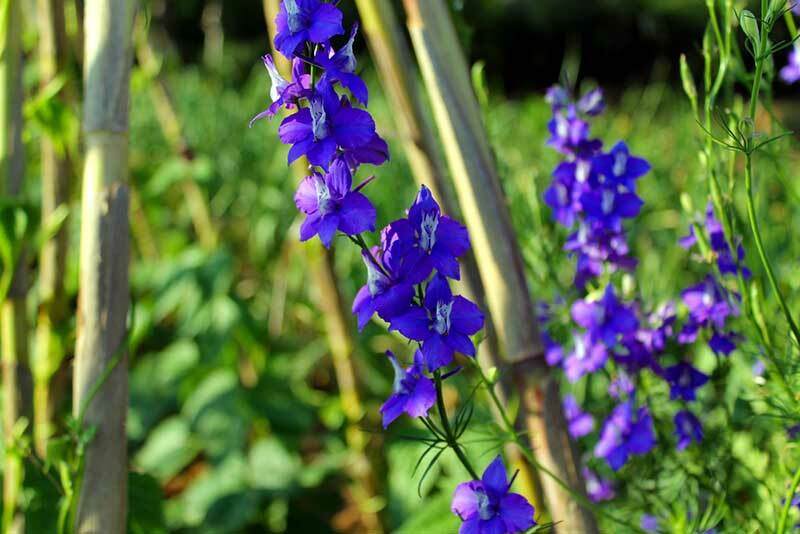 They are known for their small purple pedals that contain dozens of spiky-shaped petals. They appear in clusters that show brightly against the plant’s influx of large green leaves.